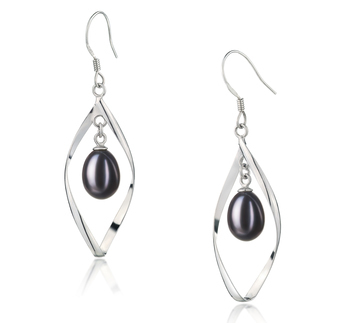 These kinds of earrings will flatter nearly every outfit in your wardrobe and will complement nearly all skin tones. 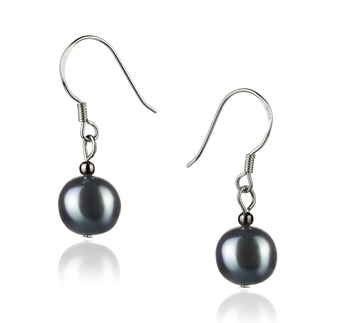 When it comes to deciding what shape of black Freshwater pearl earrings to buy you should think about the following before you do. 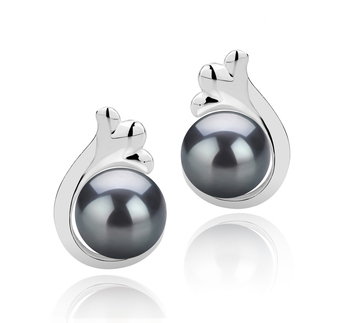 You are better of wearing small pearl earrings during the daytime and then wearing much larger ones when you go out in the evening. 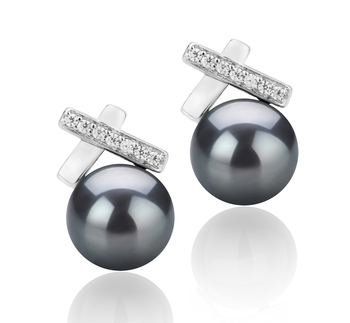 The various shapes we discuss below will also show you the kinds of occasions when they should be worn. 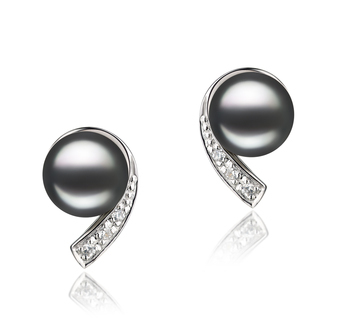 The most classic shape of all pearl earrings you can buy today, which makes them the ideal accessory for your wardrobe. 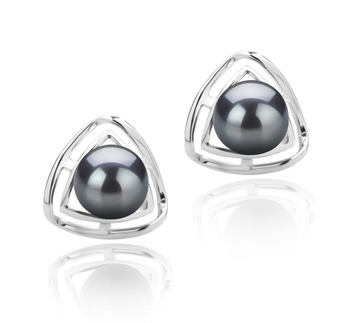 Such earrings although simple in design will add a touch of elegance to any outfit, whether semi-formal, smart or casual. 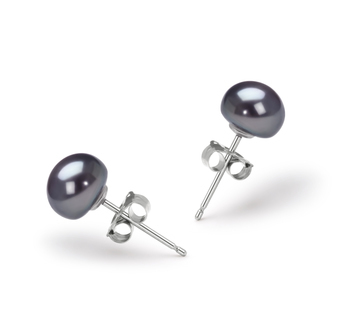 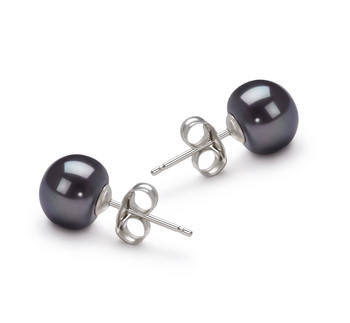 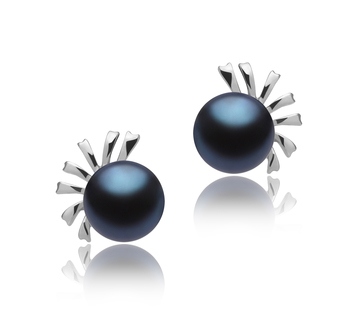 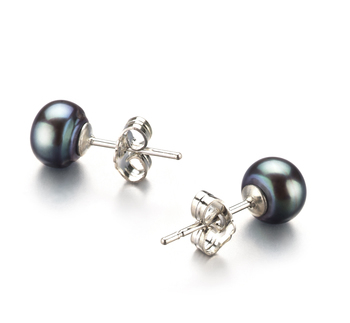 You won’t go far wrong when you team a pair of our Black Freshwater pearl stud earrings with a dark business suit and cream or white shirt. 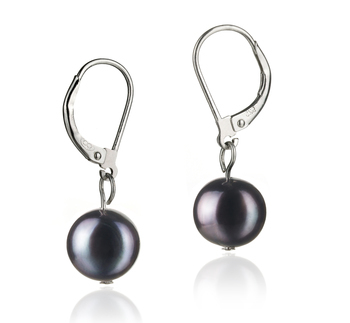 Smaller than round pearl earrings, these are very cute looking and would be suitable for young girls to wear. 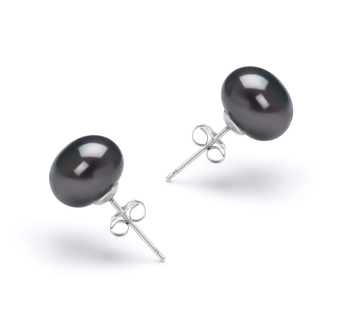 A pair of black Freshwater button earrings will make a beautiful graduation present. 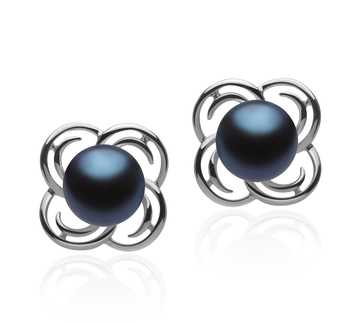 Although a dark color, they will are very delicate and feminine looking. 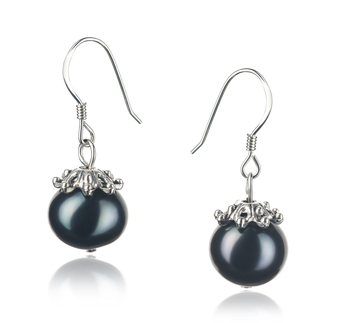 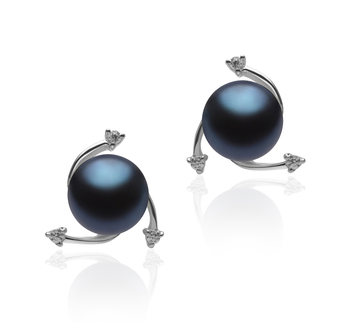 Get yourself a pair of semi-baroque black Freshwater pearl earrings if you aren’t afraid of standing out in a crowd. 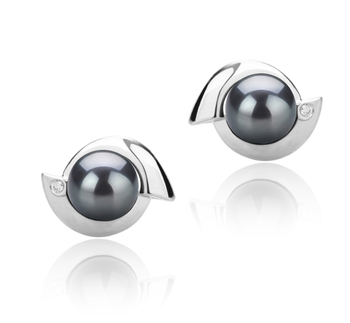 The ones with a fishhook sterling silver design are ideal for wearing to parties. 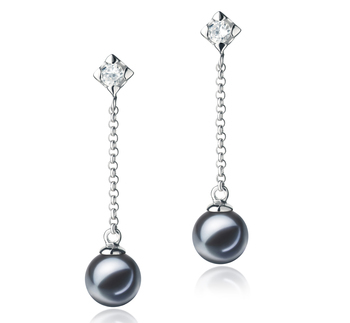 Their unique appearance will also help to give these types of earrings a more exotic, luxurious feel. 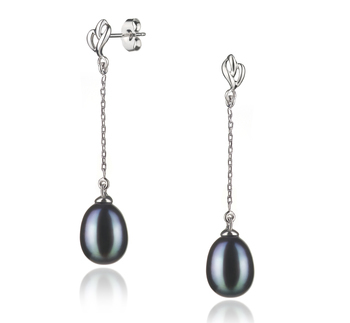 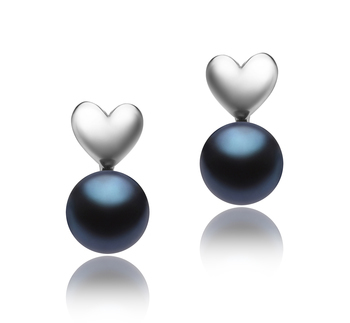 If you want to add a more sophisticated jewellery item to your wardrobe then a pair of black Freshwater pearl drop earrings is a good investment. 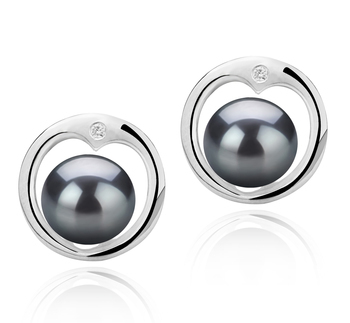 Set in silver this style will flatter most complexions and skin tones and help to brighten up the wearer’s face. 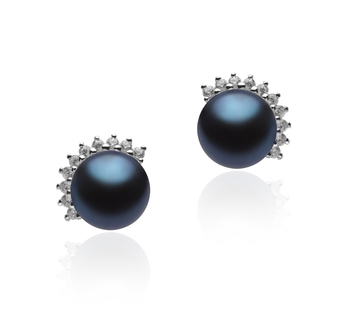 With a lush color and delicate undertones, these kinds of earrings are the perfect statement jewellery piece you could own. 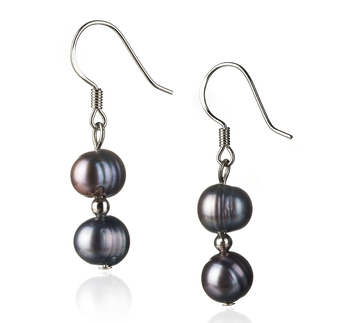 The great thing is you don’t need to limit yourself to wearing these kinds of black Freshwater pearl earrings when going out for the evening. 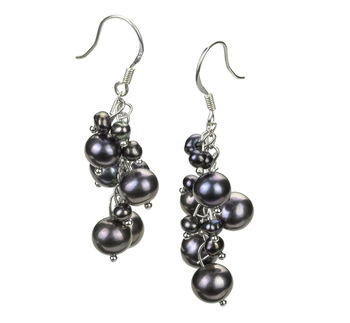 You could wear them during the day by pairing them up with some other matching accessories, such as black Freshwater pearl bracelet. 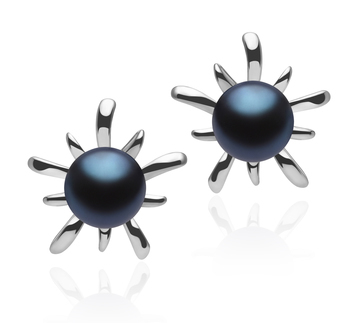 Just remember to keep things to a minimum during the daytime.